Branding is a serious business. If you own a franchise, one of your main concerns has got to be compliance! If you’re not careful with it, your business may get misrepresented, which can potentially scare leads off! To help you out with this, I’ve round up a list of examples of comprehensive brand guidelines that cover everything: from the voice of the company to the way it’s sites should look. By taking their example and writing up one for your company, you can then hand them out to your franchisees so there’s no room for mistakes! Plus, in each, you’ll find a key takeaway point that you should be mindful of when putting a brand compliance manual together. If you’d like to learn more about how you can achieve compliance in your franchisee sites, check out the post! Click on the images to open the guidelines! Examples of Comprehensive Brand Guidelines! This first one is from Aetna, a company that specializes in health insurance. As you can see, it was put together in January, 2012. So here’s the first tip: if you update ANYTHING in your brand, you should update your brand guidelines as well. Plus, if you’re thinking about building a comprehensive outline for your franchise, I would recommend going through this one to get a good idea of what it entails. It has everything! From the voice and the imagery to definitions and tons of examples! Harcourts is a real estate company from New Zealand. With its brand standards guide you can learn another valuable lesson: not all businesses are the same so not all of them have the same needs. And this is applicable in their brand guidelines too! In comparison to Aetna’s, Harcourts takes brand compliance to new applications. For example, the company has various service centers, so it’s natural that they’d like to be consistent in how they present their stores. From the street sign and cars to the overall appearance of the location (and even the inside of their offices), it’s all carefully thought out! So this is something to consider: think about the places where your brand is presented and how you’d like others to perceive it! H&R Block is a well known franchise that works with tax preparation. In its brand standards, they have templates, the right signage, etc. But, with this brand compliance manual, I want to go through the most basic point that needs to be taken care of: the logo. If you take note of most of the brand guidelines, you’ll see that they pay special attention to the logo: from proportions, to colors, typography, etc., they are very careful of what can and can’t be done with it. Again, this is the single most representative element in your company, so make sure everyone involved gets it right EVERY time! Century 21 is a real estate franchise that has presence in about 73 countries. Brand compliance across all of those locations is a must for them! These are a few excerpts from their brand compliance manual but in them, you’ll be able to see that they take care of everything! Including some guidelines on the way advertising should be done! Now, your franchise may not be an international power house (yet) but still, if you have presence across states, you need to pay close attention to what your franchisees are putting out there! 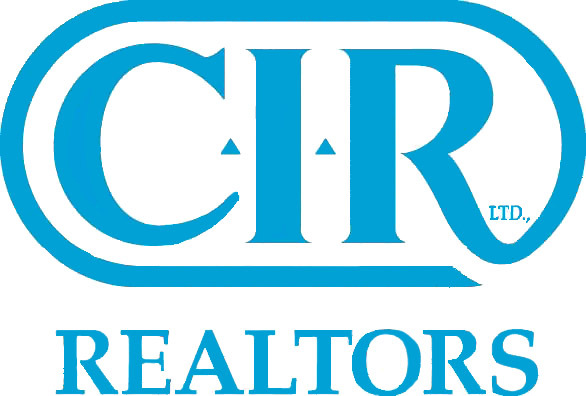 CIR REALTY, as it names implies, is a real estate business. This is another great example of what you should include in your manual to make sure your logo and brand are protected! Especially, as you may know, in these kinds of companies that have a somewhat “independent” workforce or agents. Having a consistent image portrays a trustworthy characteristic that clients and potential leads may find very comforting. Don’t lose clients over a simple thing like different messaging! 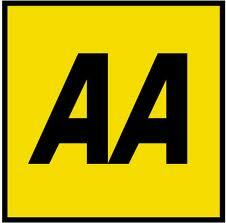 AA is a company that offers, mainly, auto insurance. In its brand guidelines, you’ll learn that brand compliance is a concern, not only for external communication, but in internal too. Keeping the right messaging in memos or other official communication efforts is vital in helping that everybody in your company feels like they belong in a solid company. AA, for example, has an internal magazine named “Drive”. In their brand manual, they include an example of the front cover, so the designers in charge take it as a mold for every future issue. Lion of Africa is an African insurance company. As do all of the other companies in this post, they care about brand compliance. The take away point in their brand guidelines is a very subtle one. They understand that their agents are important in the presentation of their identity as a company, which can be witnessed in the way they refer to them as”brand ambassador”. A small terminology like this one places a sense of responsibility and belonging in their agents. They’re no longer just your employee, they are important enough to be an ambassador, which will make them, more than likely, eager to fulfill that role. Right at Home Realty is a Canadian company that works in real estate. Their brand manual touches another subject to think about: since realtors are an independent workforce, they may need to get their own brochures or other marketing material. Sure, the company gives them the design and measurements, but they may have to print it. Now, if you’ve ever used a printer, you know that they have a mind of its own: some print brighter colors, have different settings, etc. Thinking ahead to this, Right at Home makes some recommendations in their guidelines. To guarantee the colors are right and the final product looks like it should, this company gives them advice on how they should be printed. From the kind of paper to the colors that should be used and even brand specific suggestions for HP and Epson printers, they make sure they’re represented correctly. This is taking brand compliance a step further! KPMG is a global company that are in the professional services business, offering advise on taxing and audits. By clicking the image below, you’ll find their brand manual for all thing referring their logo. Still, and while it is great example of guidelines done right, I would also like for you to view this video on Social Media Guidelines. In it, you’ll see another thing to consider when putting together your own manual: social media and new ways of communicating. As it’s explained in the video, the world is always changing and if you’re not changing with it, you’re getting behind. Platforms like websites or social media are great for exposure, to get in touch with clients and to be competitive in a new level. Of course, you care that your message is still consistent there, so how should your employees approach it? Don’t let any ground uncovered and get compliant in the virtual world! Legal Shield is an American company that offers, as the name implies, legal aid. There’s something valuable to learn from their brand compliance manual: examples of what not to do can be even more helpful than just letting them know what’s correct. Of course, from time to time and under the pressure of trying to be in line with the company’s values, some doubts may arise. In the “Logo” portion of the guidelines, you’ll see a few examples of incorrect uses of Legal Shield’s logo. And they should include them! The logo is their most recognizable asset and by telling their employees what not to do, they’re closer to achieving a cohesive brand image! This is a Canadian mortgage company that concentrates on providing home insurance and mortgage loans to aid people in need of a home. The takeaway point in their brand guidelines has to do with how they approach people. Mortgage and housing are sensitive subjects since they deal with a basic necessity, so, naturally, they want their customers to feel comfortable with them. That’s why they instruct that their brochures, emails, etc., should have a simple, personal and relatable message that speaks to their customer’s necessities and concerns. 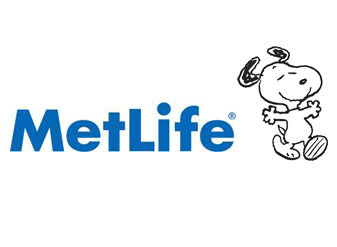 MetLife is a well-known insurance company. If you look into their brand center, it’s easy to see that even though that brand compliance may be a touchy subject, by being really specific, they can ensure that their image maintains intact. They have documents for how to use their logo, the “Snoopy” brand, the color and type, the voice and photography and how to apply their identity in different scenarios. Plus, their brand guidelines are available in foreign languages for their workers in other countries like Mexico, Brazil, Chile and India! Talk about comprehensive! Legal & General is a British company that focuses on life insurance. Again, with offices in several countries (like the US, India and China). That’s why in their brand compliance manual, they go a bit further: they not only teach others how to use their logo or slogan, but they give them the reasons why it’s important to follow their philosophy. They even instruct their agents that it’s crucial for them to learn the company’s history and live by the brand’s “Every Day Matters” slogan. This is a great way to make your franchisees feel like they are part of a group! 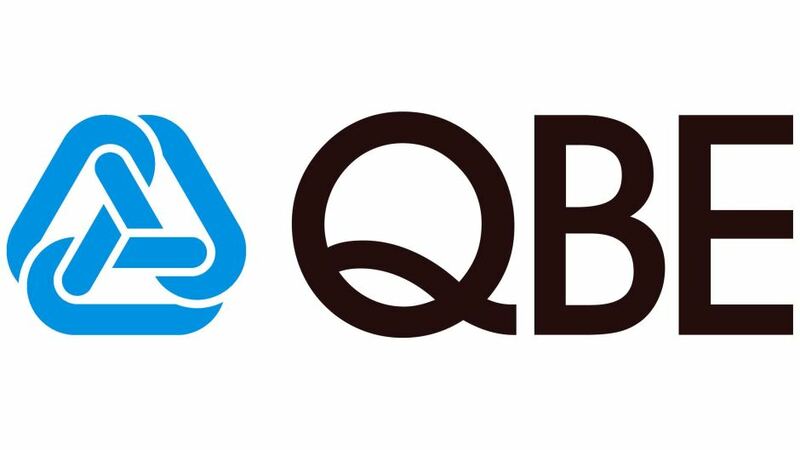 QBE is a company that concentrates its efforts in providing insurance for others. As you can see from their brand guidelines, they are very thorough and they even write up very specific instructions. For example, the guidelines linked in the image below have to do with the basics in brand identity (typography, colors, imagery, among other things). But they have guidelines for stationary, how to use the brand in print; meaning that they pay close attention to detail. As a franchisor, if you want to make sure there are no misunderstandings in the brand department, you’ll need to think this way. This real estate company serves the United States and Canada. If you look at its brand guidelines, you can see that, again, they have special needs in terms of how they showcase their brand. As you can see, they have guidelines for some of the typical elements needed in real estate: from open house signs to billboards and more! Plus, they even include a form for their employees to submit artwork for approval. This way, they give them some creative flexibility while making sure it stays compliant to what the brand is about.